Angry Birds started out with a brilliant formula that every loved but people soon forgot about. Rovio realized that their skill is in pushing the envelope therefore they decided to keep bringing something new. 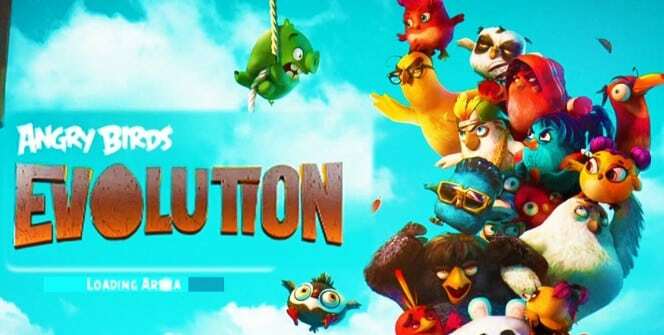 Angry Birds Evolution for PC is the next step in Rovio’s evolution. The setup is nothing new. You play as the Angry Birds who are angry because those evil pigs have been stealing bird eggs again. But there’s a twist; the pigs are stronger than before which means that the Birds must convince a legendary hero to appear once again and help them defeat the terrible pig leader. Most people already know every type of bird in this universe but Evolution has a new set of players. They are designed in the same way as the characters from the movie however they have different and never-seen-before characters. 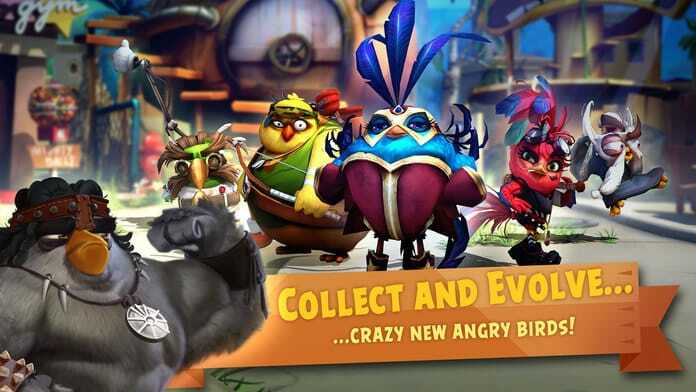 The new guys aren’t as cute as the previous ones, which shows how Rovio is not afraid to get dark with their games. Adapting to a whole new set of birds was hard enough but Rovio went and switched the game-play up as well. Angry Birds is a turn-based RPG now and the pigs are fighting back. Even though, attacking still works on the same mechanics i.e you pull the characters back to make them attack. You still need to get the angle of your launch right and hope that your bird bounces in just that right spot to wreak maximum damage and get as many points as possible. Special attacks and power-ups are there to be found and they add a satisfying impact to the game. You have to use them wisely though and aim for the enemies that would do the most damage to your squad first. The time between battles is best used for upgrades. These are primarily acquired using in-game currency that you’ll win by scoring high in the levels then exchange for different colored birds that come with unique special attacks. Some birds can also be sent out to gather resources in the background. This new game also has PvP. You can pit your birds against the birds of other real-world players and see who has the best aim. The main difference about PvP mode is that you want to get as many of your birds in your opponents half rather than just trying to knock them down. One thing you’ll definitely notice is that this version is not just designed for kids. The dark elements that they bring in make it appeal to adults as well. There’s no denying that naming a character ‘Major Pecker’ didn’t happen by accident. There’s some new gameplay elements in here to definitely keep you interested and PvP mode is a welcome addition. The visuals are also new and are very good at keeping you entertained. Rovio didn’t really need to give us an entirely new cast of birds. The old ones worked just fine and fans were already in love with them. 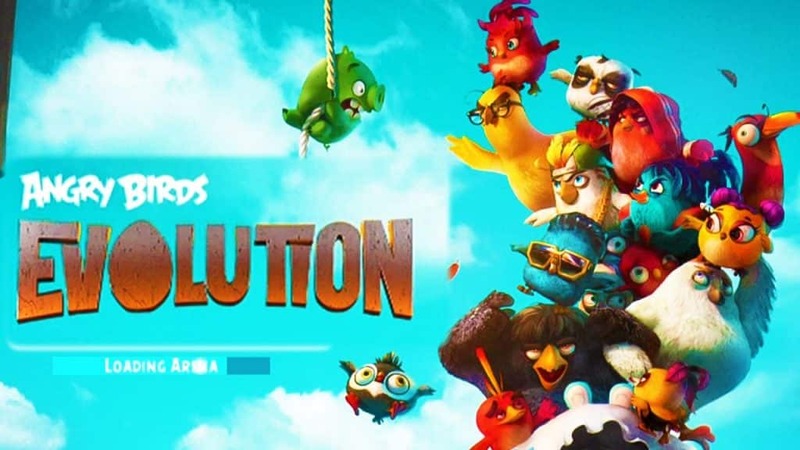 Rovio targeted Angry Birds Evolution for PC at people who already loved the series despite the fact that most of those players are too old for mobile games now, unless of course they’re reviewers like me. This makes it difficult to tell what exactly their target audience was and if it wasn’t for the fact that’s it’s an Angry Birds game, it might have missed the mark entirely. Sometimes when playing Angry Birds Evolution, bluestacks ask you fee to pay but gives you option to download some apps. Every time it asks you just select “Install apps” and continue using it free. I hope you enjoyed this article, please rate and share. If you have problems running Angry Birds Evolution on your desktop or any other issues, leave a comment below.